We are a leader in the experiential tourism industry, providing pilot-driven pedal tours in more than 50 cities across North America. We have partnered with the world-renowned bike manufacturer, Fietscafe®, the original party bike, to ensure every bike is of the highest quality and meets our exceptional safety standards for the benefit of all our riders. Create authentic and meaningful memories through a positive, team-building experience. Pedal Pub offers community members and tourists alike a chance to socialize with friends, partake in a light workout and tour neighborhoods and cities in an exciting, unique way. A business journey like no other. We brought the first party bike from Amsterdam to the U.S. in 2007. Fast forward a decade later and we’re operating in more than 50 cities, creating a fun, safe and eco-friendly experience for millions of guests annually. The dream of brothers Zwier and Henk Van Laar becomes a reality and the first party bike was developed and built by Fietscafe in Amsterdam. Inspired by a story about a 'rolling pub' in The Netherlands, entrepreneurs Al Boyce and Eric Olsen begin pedaling the party bike concept to North America. Pedal Pub officially begins operations in Minneapolis, Minnesota. 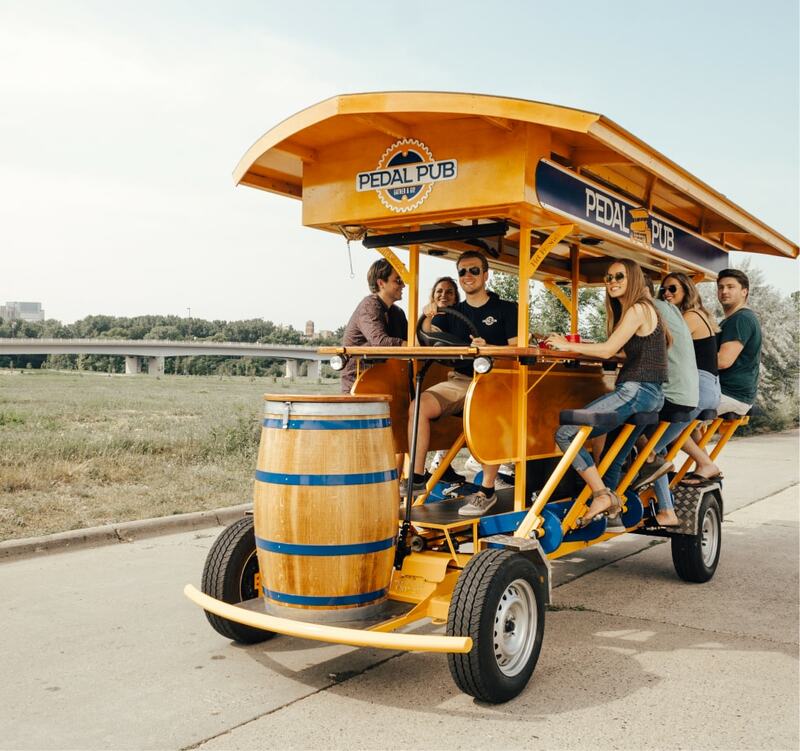 Pedal Pub continues to expand as the exclusive distributor to "The Original Party Bike" in North America. The party bike craze pedals to 25 licensed locations throughout the United States. After 10 short years, the world's most durable and feature-rich party bike can be found in 40 cities across the country. As the leader in the Party Bike industry, Pedal Pub begins offering franchise opportunities to entrepreneurs across North America.